We are a team and love what we do! 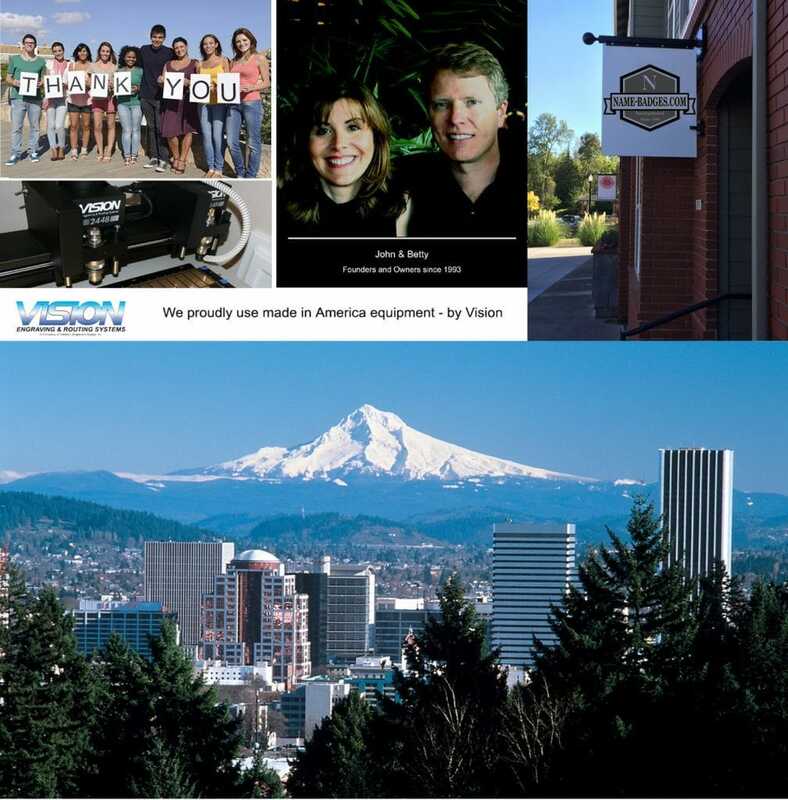 Walk in service for the Portland Metro area, we also ship nationally. Name Badges, Name Tags, Visitor Badges, Photo ID, Full Color Signs, Engraved Signs and Plates. Custom work is no problem, its what we do!